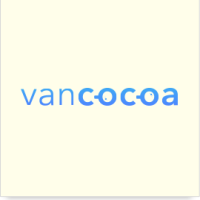 We're back for another VanCocoa! Join us for a talk by Chris Stott, Founder and Engineer at Buddybuild. Chris will be sharing what he has learned managing thousands of iOS apps' signing identities and provisioning profiles, including how code signing works, and common frustrations. Our second speaker with be Nigel Brooke from Steamclock talking about the joys of Swift Generics. Then, as usual, we'll go for drinks. The event is at SFU Harbour Centre downtown at 515 W Hastings Street, Room 1800.